Material:Stainless Steel Wire,Aluminum Alloy,brass,copper or other alloy material. Color: Silver,black,copper,yellowish,dark yellow, copper,brass,dark brass,purple bronze,gray,etc. 1. we have enough experience to control the error range of flat wire mesh, the accurate Molds are the most important for production. our mold cost is more expensive than common's. third 24-hours hotline to save the time differences. coating is the most popular. 5. small order is ok, more than 20 square meters. Huihao company is headquartered in Hebei. 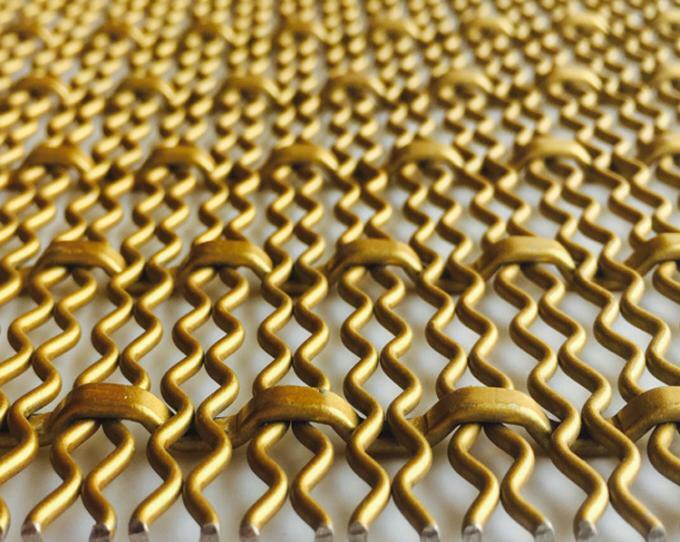 Raw material procurement, process technology innovation, are at the forefront of the domestic wire mesh industry, independent research and development of non-standard production equipment, can produce a variety of different models of different products. 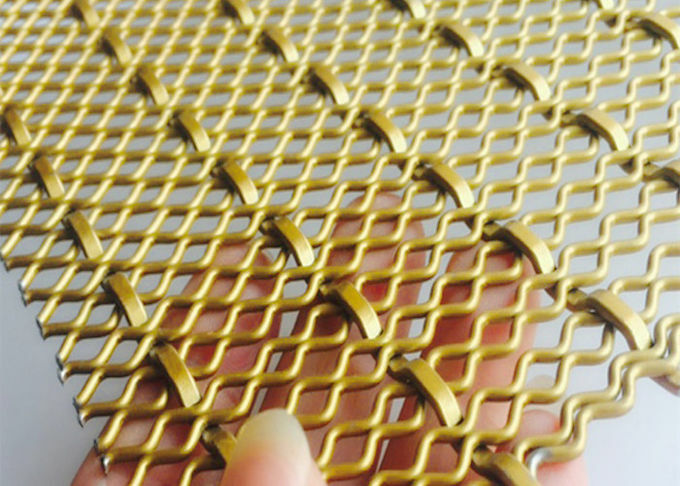 After more than ten years of unremitting efforts and innovation, Huihao has developed into a professional manufacturer of mature stainless steel building decoration wire mesh at home and abroad, and has its own special product - architectural decoration wire mesh. Outside the building decoration net, metal curtains, rope nets, conveyor belts, filter nets and other products are extended. Has passed ISO9001: 2008 management system certification. 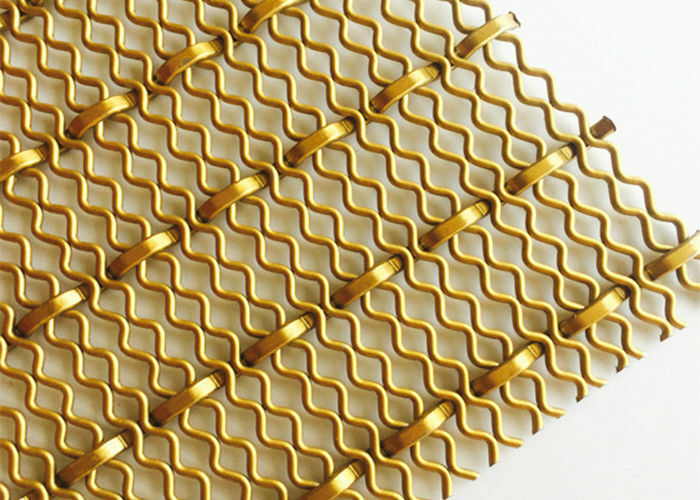 project details Huihao Decoration wire mesh is now widely used in many buildings in China. The theme building of the Shanghai World Expo at the 2010 World Expo successfully applied decorative nets to improve the quality of Chinese architecture. Prove that China is also the leader of architecture. The Saudi Arabia Pavilion of the Shanghai World Expo, the multi-national conference hall of the Shanghai World Expo, the Beijing Chaowaimen Building, the Beijing Zoo, the Fuzhou Electric Power Building, and the Qinhuangdao Municipal Food and Drug Administration are the successful cases of Huihao. The metal architectural decoration net is applied to the infinite imagination space through the combination of the color of the product itself and the high-tech components such as accessories and light, sound and electricity. Under the illumination of the light, the golden and beautiful, elegant and exquisite!